They are starting to live closer to each other. Prime nesting spots are hard to find. The Great Blue Herons are always there first and protect the location and small young. 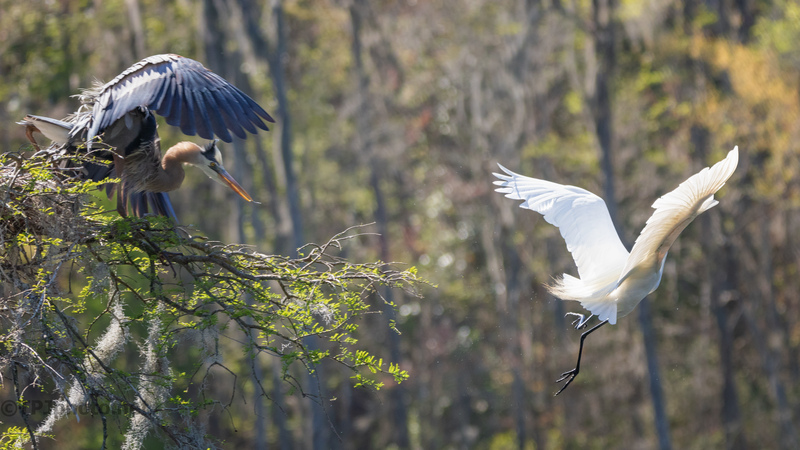 I caught this series as the Great Egret pushed closer and closer to the Heron. 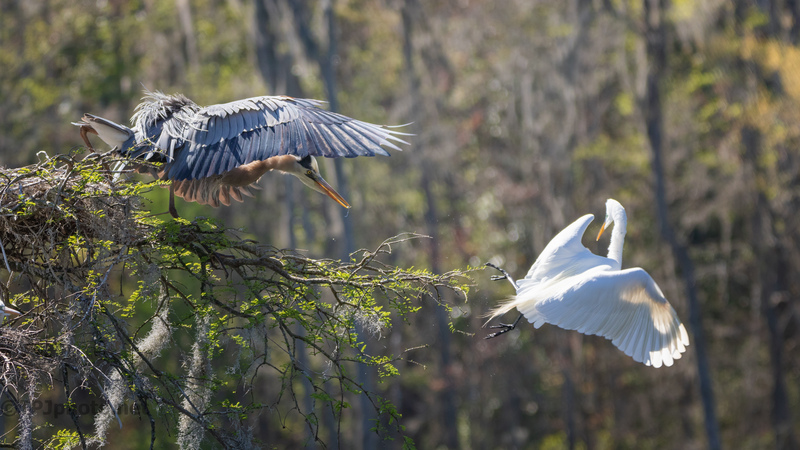 Egrets may be the biggest danger to small Heron chicks. The adult Heron, while a docile species, will attack if threatened. The following photographs are a good example of aggressive behavior in these rookeries. 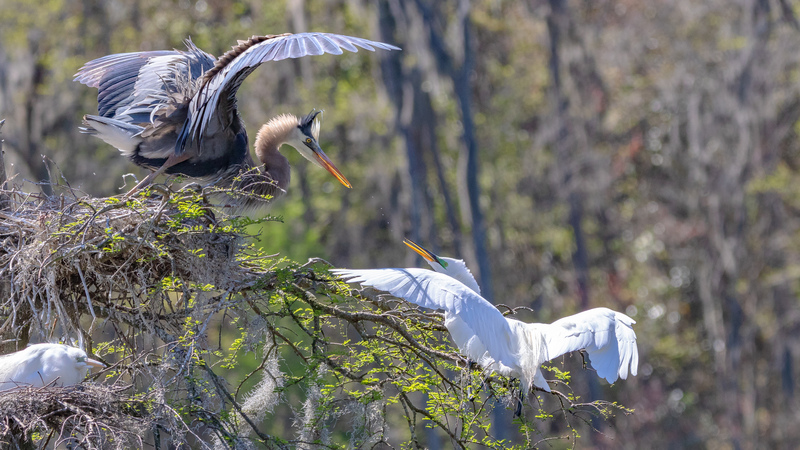 Above, the Great Egret was inching closer to the Heron nest. Finally the Heron stood and warned the Egret to move away. 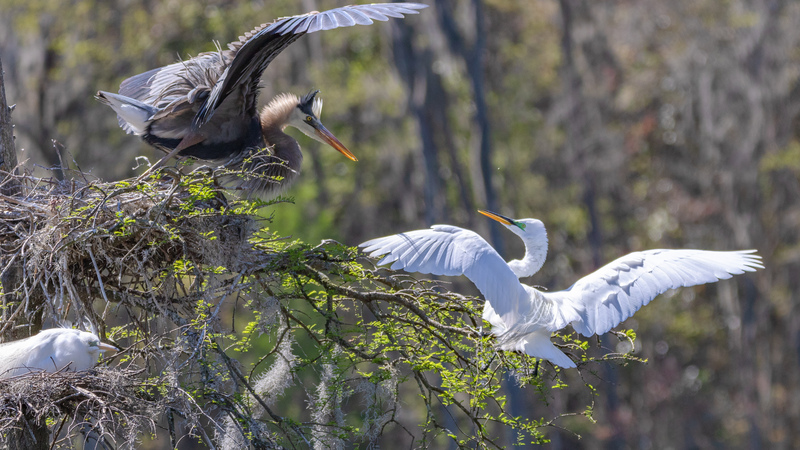 Egrets are usually the aggressor and will fight back. 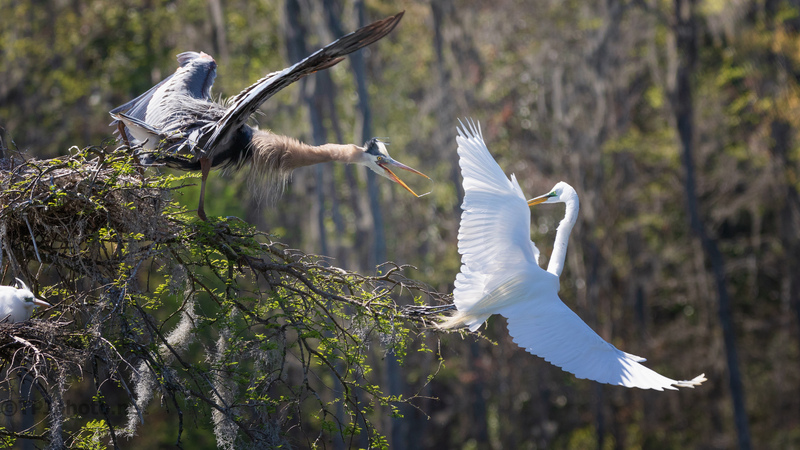 The Heron had been pushed by the Egrets for some time and ultimately attacked. Above the Egret wisely backed off. The Heron had the high ground, was protecting young, and is bigger. This time the Heron won the day. Egrets are nesting in this tree below the Heron so this will be an ongoing battle. I was pleased to be able to capture this series from start to finish (there were other shots, too many to include). You need to be in the right place at the right time. I was, this time.